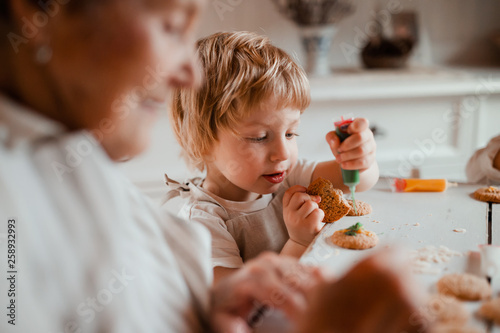 Leinwandbild Motiv - Halfpoint : A top view of senior grandmother with small toddler boy making cakes at home. 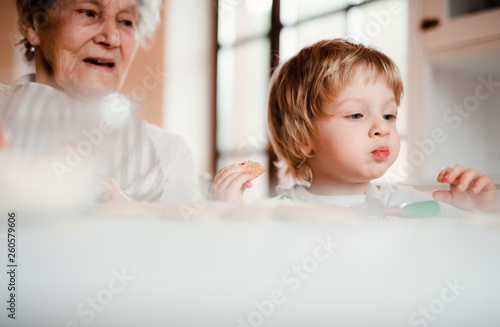 Titel A top view of senior grandmother with small toddler boy making cakes at home. 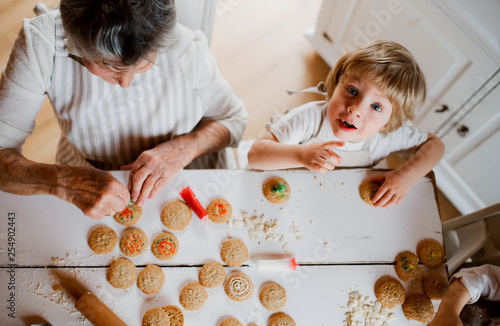 A top view of senior grandmother with small toddler boy making cakes at home. 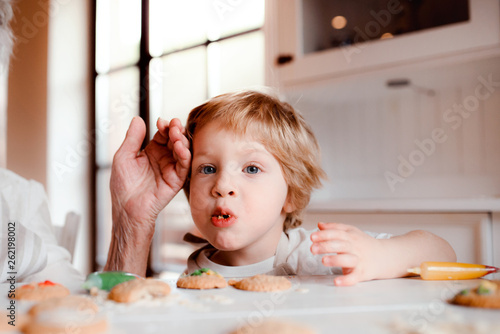 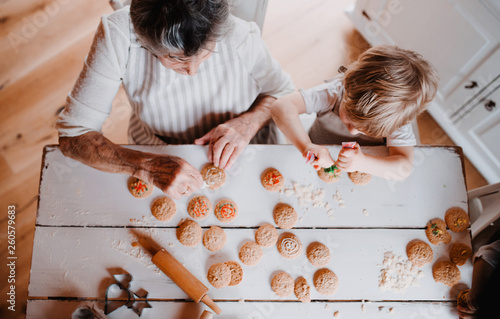 A midsection of senior grandmother with small toddler boy making cakes at home. 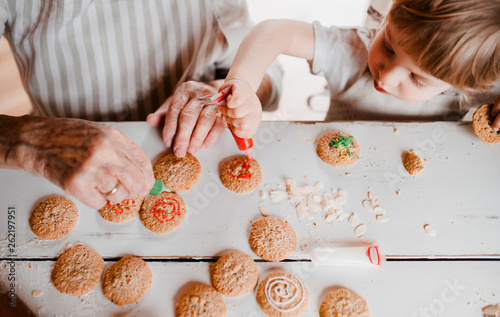 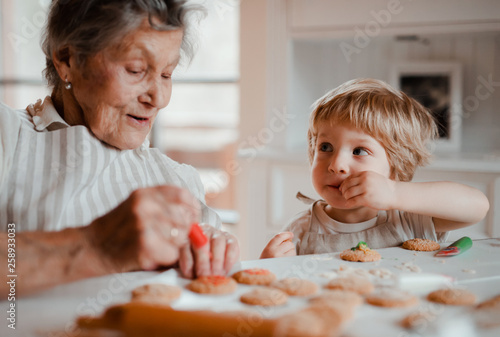 A senior grandmother with small toddler boy making cakes at home.